In some seasons we use chicken tractors for weed control in the garden. 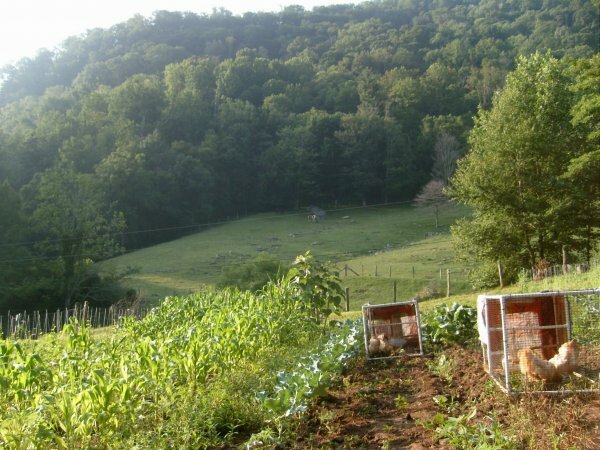 These lightweight, movable coops are built to exactly fit between the rows and each one houses two hens. They thoroughly scratch up the ground, uprooting weed seedlings–and depositing fertilizer. Each day we move the tractor a little way down the row so the hens can clear new ground.